Fire alarms can save lives assuming they work when needed. To help ensure fire alarms will work, safety professionals need to inspect them. To keep fire alarm inspections on track, SBN’s has developed fire alarm inspection software for use on mobile devices such as iPads and iPhones. This software works in conjunction with our software for fire alarm system inspection reports which allow users to generate custom reports to provide updates on the status of fire alarm inspections. Combined our solutions allow users to complete fire alarm inspections in the field and report out to affected stakeholders. Completing inspections in the field is critical for efficiency and effectiveness but that is only half the battle. Communicating inspections to key stakeholders is equally as critical so that an organization can rest assured that their fire alarm systems are operational. That is where the software for fire alarm system inspection reports comes into play. 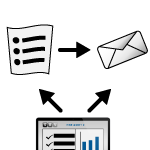 Our administrator tool allows you to set parameters for automatically generating custom reports. 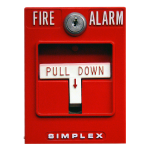 Quickly and simply communicate the status of fire alarm inspections. These fire alarm system inspection reports can be emailed to any and all stakeholders including representatives from the local fire department if desired.